I teach workshops for small groups in my studio and various locations throughout the year. Contact me for further information, prices and scheduling. 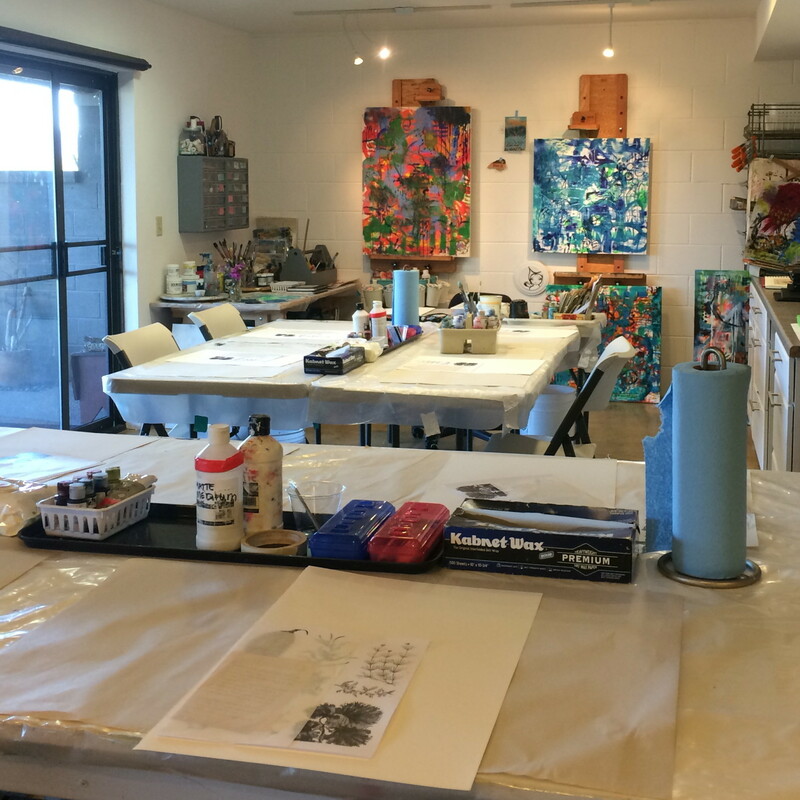 One day workshops - half or full day, or ongoing art instruction is available for all skill levels. and magically creativity jumpstart using acrylics are a sample of classes available. as you explore and create personal pages, with a variety of techniques and materials. Experimentation with collage techniques from basic gluing to image transfers. The why, how and where to use and source materials is covered in each class. Create a large mixed media work of art, while playing with a variety of supplies and techniques.